When you’re on the plane, the last thing you want to do is detangle your headphone cord. That’s where the best cheap wireless earbuds come into play. So you're off to explore some of the most romantic places in the world. Now, you've just got to sit through a long flight. What to do? Are you looking for some affordable entertainment gear that gets the job done? Our choices for the best cheap wireless earbuds offer just that. These products offer high quality, great sound, and they’re comfortable for long-time wear. While some are made with a very lightweight design, they are still durable enough to be coiled up for easy storage. Take them to the gym, on a run, on the road, or wherever you want to go. Let’s get to the good stuff. We’ve narrowed down our selection of the best cheap wireless earbuds to fit a wide variety of style, budgets, and needs. Here are our favorite products in no particular order. Experience enhanced wireless sound with the Aukey Latitude Wireless Headphones. As far as the best cheap wireless earbuds go, these are at the top of our list. Enjoy up to eight hours of non-stop music and adaptable sound presets. That’s right. You can find the right sound to match your music. To access this feature, simply double press the multifunction button. This will enable you to switch off between 3 different EQ-presets - balanced, treble, and bass. That’s not all. You’ll love how reliable the connection is. Benefit from quick pairing, excellent connection stability, low latency, and low power consumption. These water-resistant gadgets are ready for anything. With a trouble-free fit, they’ll stay in place wherever you take them. We know there’s nothing more annoying than earbuds that keep falling out when you’re trying to watch a movie on a ten-hour flight. Everybody knows about the brand Skullcandy. They’re iconic for making the best headphones and earbuds. Weighing in at a super light 24 grams, these sleek low-profile earbuds won’t cramp your style for all-day use. We love that they’re noise-canceling and offer a clear, rich audio across all types of music. While users noted that they do better with short distance connectivity, these headphones will do just great for road trips, flights, and those in-between moments. Lightweight, low profile, and flexible: The low-profile design weighs only 24 grams, offering all-day listening that won't compromise your style. For quickly and conveniently storing in a pocket or bag, the flex collar packs up to one-third its size. Supreme Sound: A noise-isolating fit enhances the rich, clear audio of Supreme Sound across all types of music, producing attacking, powerful bass, warm, natural vocals and precision highs. Built-In Mic and Remote: Manage your calls and music on these Bluetooth buds with the built-in mic and remote featuring call, track and volume control. Thirty feet of cord-free Bluetooth means you can do it all without reaching for your phone. Long Lasting Battery: Listen longer and louder with 8-hours of rechargeable battery life. Enjoy superior comfort from precise design and premium materials. You’ll find remarkable in-ear comfort. 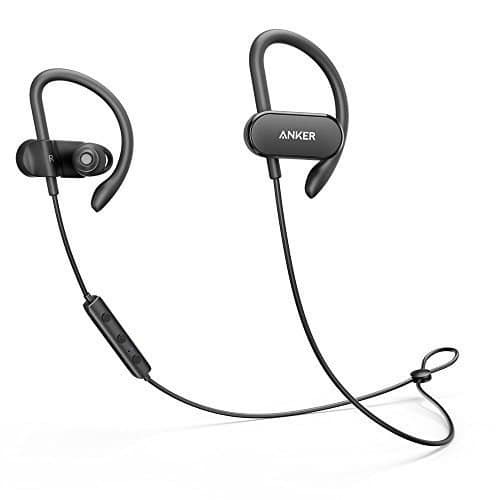 Thanks to Anker’s renowned power technology, the SoundBuds Curve will play over a week’s worth of workout music all on a single charge. But that’s not all. They’re also water-resistant; sweat and rain pose no threat. Go for a run or wear them on the plane. Thanks to extra-soft ear hooks, you won’t have to worry about them falling out. Superior sound quality with QualcommⓇ aptx audio and cVc noise cancellation technology for clear phone calls. Make your life more enjoyable with 6 hours of continuous playtime of your favorite tunes. These are some of the best cheap wireless earbuds. Ergonomically designed, they conform to the shape of your ear. Say goodbye to those annoying earbuds that fall out every time you move. 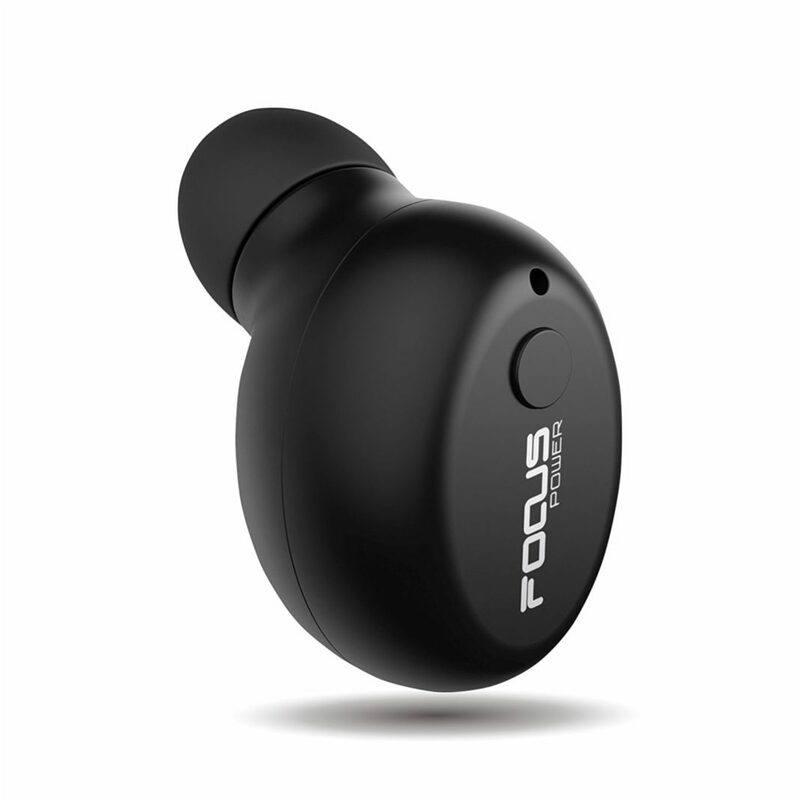 The FocusPower Mini Bluetooth Earbuds feel so light, you almost forget they’re there. The crisp, clear sound they produce is perfect for listening to music, audiobooks, podcasts, and hands-free calls. A small but powerful 55mAH Lithium-ion battery delivers great play time. Better yet, charging time only takes a half an hour. You’ll never have to mess with cords again. To charge your device, simply place it atop the charger and let automatic adsorptions work their magic. Pair these with your Kindle, buy some audiobooks, and you're good to go. 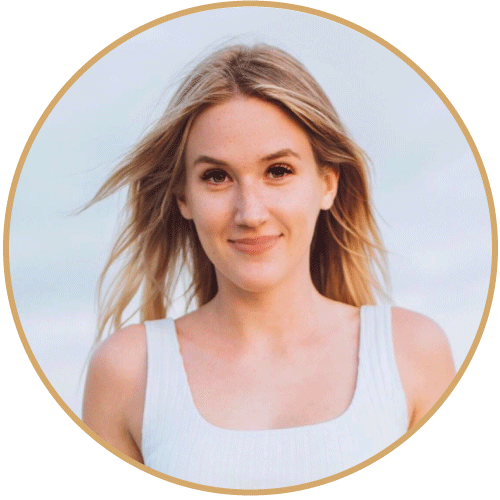 Energy Conservation - Generally speaking, the battery can keep 3.5 hours life for all similar products, but these products have a high capacity battery which 1.5 times than others. Premium quality lithium accumulator allows you listening audio on 30-40% volume about 7 hours and 6-8 hr talking time, 4.5 hr on full volume. Bluetooth 4.1 & EDR Technology - Compatible with all Bluetooth-enabled devices. Instantly connected to your smartphone or tablet from up to 33 feet away. Enjoy the most advanced bluetooth technology in the industry. These earbuds will feed your love of music and free you from the frustration of tangled wires. So what do we love about the TrebLab X2 Bluetooth Earbuds? Let’s start with noise-canceling qualities and a secure fit. When you’re on the go, these earbuds block out all the loud noises on the plane and won’t fall out when you need them most. They’ve got everything you need for your dynamic lifestyle and it’s easy to answer your calls. You get 12 hours of battery life, Siri support, and it’s waterproof and sweat-proof. It really doesn't get any better than this. TrebLab has some of the best cheap wireless earbuds. 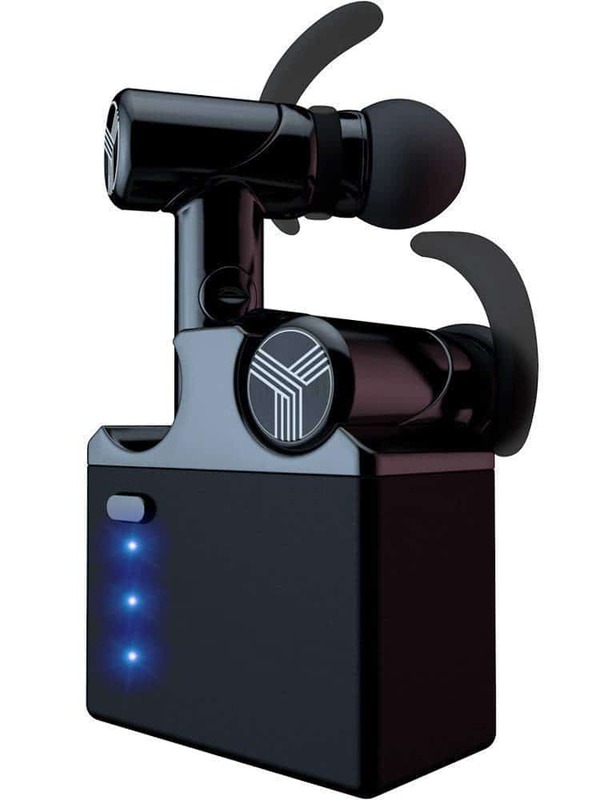 True Revolution in Wireless Headphones – After years of R&D, we’ve made the best, super premium Bluetooth headphones, which will rock your world...literally! Incomparable sound quality, revolutionary design, perfect connectivity. Cosmic Beryllium Ultra-HD Sound - X2’s speakers are made of Beryllium, an element common in stars' core and used only in top Hi-end & Pro audio. Relive the moments of pure joy and emotional goosebumps with perfect, 3D sound. Made to Get Active - Love sports like running or working out in the gym? X2 is perfect for athletes! 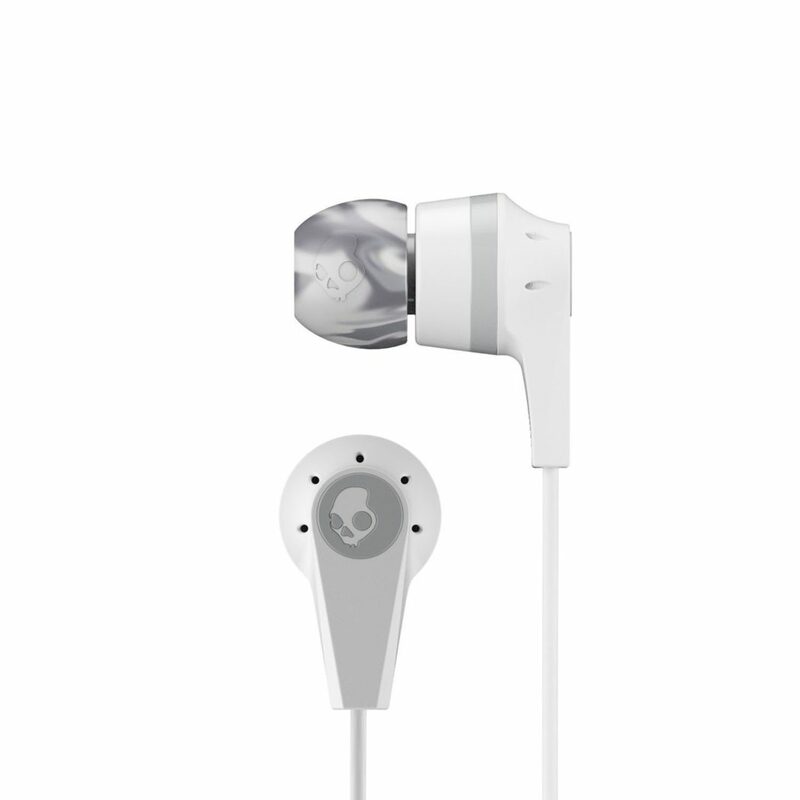 IPX4 Water-resistant and sweat-proof certified earphones tolerate your sweaty fitness workouts or a jog in the rain. 100% Satisfaction Guarantee– Make everything you do more fun with X2 Bluetooth earphones or we'll refund you! Lifetime warranty and 30-day returns make this a zero-risk purchase. Also, expect the world-famous A+ Customer Care. We’re pleasantly surprised by the quality of the Senso Bluetooth Headphones; they're truly some of the best cheap wireless earbuds. The sound quality is incredible and there are no issues with connectivity. Users tried taking them up to 30 feet away from their phone connection in different rooms and the sound stayed strong. If you’re wearing them on the plane or in the gym, they conform to the shape of your ears and won’t slip out. 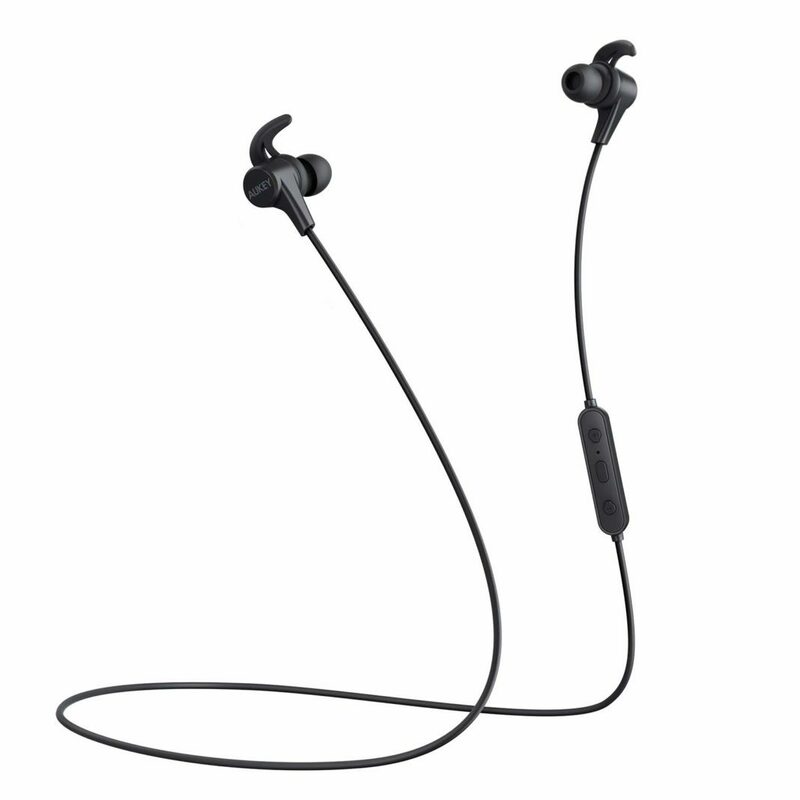 Comfortable and Secure Fit With IPX7 Waterproof Rating - ActivBuds feature Ergonomically designed flexible ear hooks with gel flex silicone earbuds to ensure your headphones stay comfortably firm in place to guarantee fatigue-free ears and tangle free comfort. Longest Battery Life - The new and improved lithium polymer battery allows seamless enjoyment of music for up to 8 hours and 240 hours standby with a quick charge of only 1.5 hours. Bluetooth Wireless Technology with Noise Suppression Connect seamlessly with all Bluetooth enabled devices up to 30 feet away. With Noise Suppression technology focus on your favorite music and answer calls without skips or missed words. 1 Year Warranty and Bonus Items- Bonus Accessories with 1-Year Manufacturer's Warranty and 30 days no-questions-asked return policy. 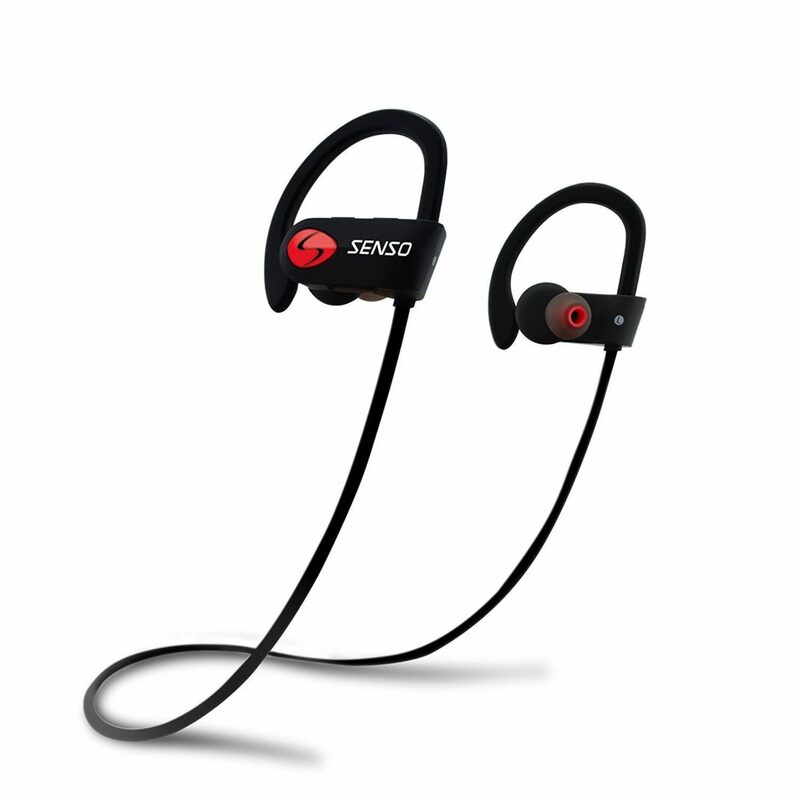 Value for money guaranteed, buy the Senso ActivBuds worry free today. We hope you enjoyed reading our article on the best cheap wireless earbuds. As you can see, we’ve chosen only those of the highest quality. Great sound, affordable prices, and durability come together in these picks. Now, it’s time to choose a pair for your next adventure. Which ones are your favorites?